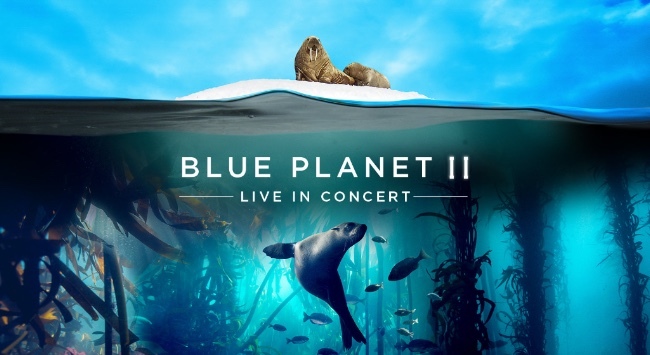 Now, a generation later, the Natural History Unit has once again dived deep into the blue underworld, providing the audience with a completely new perspective on our oceans, coasts and coral ecosystems – full of mystery, surprise, and startling revelations. With the help of groundbreaking advancements in research and technology, the BBC One landmark series has not only presented the viewer with spectacular images but the public reaction to the series has raised awareness of how fragile our planet and environment has become from plastic contaminants and demonstrated the power of television to make an impact on society. The live concert adaptation is an extension of that striking visual and environmental narrative.